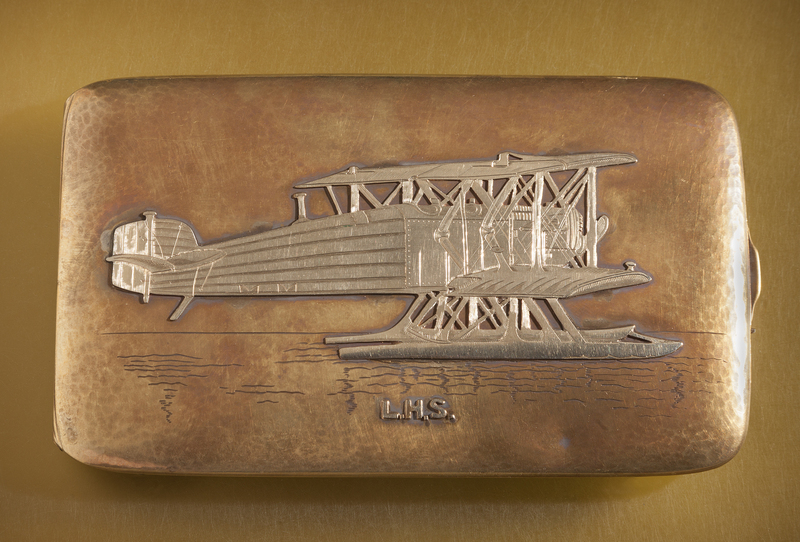 This brass cigarette case with silver relief features a Douglas World Cruiser on the lid, a world map engraved on back with plot of the World Flight course, and an inscription engraved on the inside lid. Photo by Eric Long, Smithsonian National Air and Space Museum (NASM 2014-04406). Find out more about Gold and Silver Cigarette Case.